ML says he is retired, but no one believes it. His career has been in both profit and non-profit work and has spent much of his time overseas, with 12 years working out of Beijing, China with the Peter F. Drucker Institute. His love of sports cars goes back a long way, this being his 54th year of owning roadsters. 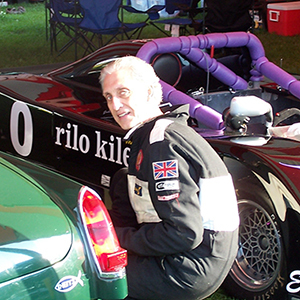 He has built, restored and campaigned a full race MGB in E Production, then a C-Sports Le Grande in Vintage, since 1986. He was Lead Instructor for closed wheel, then Chief with VSCDA, vintage. That part has now retired, though he is happy to do “check rides” when needed. He still stays active on the Flat Out Classic committee. He purchased his first BMW, a 2001 Z3, then a Z4 in 08; and now completely enjoys the M2. He is member and past President of St. Louis chapter; was involved with the national BMWCCA on the “strategy team” and most recently, the National Recognition Committee.